Chef Robert Irvine returns to battle Chef Anne Burrell in a much-anticipated Worst Cooks in America rematch beginning Sunday, August 12th at 9 PM ET/PT, where the renowned chefs whip a roster of disastrous cooks into tip-top shape. Anne and Robert, who last went head-to-head in the show’s second season in 2011, each lead a team of kitchen-challenged competitors though a grueling seven-episode culinary boot camp competition designed to improve their food skills. 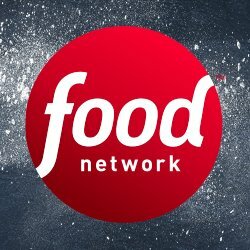 In the finale on Sunday, September 23rd at 9 PM, the one contestant who demonstrates the most impressive culinary transformation is awarded $25,000 and bragging rights for their mentor. In the season premiere, fourteen of the country’s worst cooks enter boot camp with dreams of putting their kitchen nightmares behind them. Chefs Anne and Robert want to see what they’re dealing with, so they ask the recruits to make their signature dishes and the results are truly disastrous! After being sorted into teams, the recruits dive right into the deep end of the kitchen by learning to make a surf and turf dish. Then, the recruits on each team with the worst dishes are sent home. 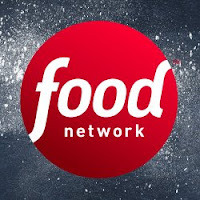 Upcoming episodes feature the return of food trivia game Family Food!, a chicken challenge that forces the recruits to spread their wings and guest appearances by Food Network personalities Gesine Prado and Jason Smith. The season culminates in the finale on Sunday, September 23rd with the two most-improved recruits preparing a restaurant quality meal for judges David Burtka, Daphne Oz and Melba Wilson, who will sample the dishes in a blind taste test and determine the winner of the $25,000 prize and victory for their mentor. For more from culinary boot camp head to FoodNetwork.com/WorstCooks where you can browse photo highlights, watch funny videos and catch behind-the-scenes moments. Who’s your best of the worst? Use #WorstCooks to weigh in.